If wins are anything to go by, Mitsubishi was unbeatable with more wins than their rivals combined. However, points table proves that it was not plain sailing. Closer scrutiny of MRTE finishes reveals that besides those seven wins, they scored only two other podiums whereas Toyota had almost continual presence on podium. 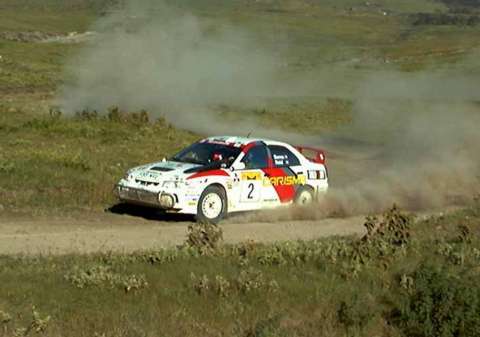 Behind Makinen two old-timers Sainz and Kankkunen kept their cool and finished in points more often than anyone else, nine times out of thirteen rallies. And out of those nine seven were on podium. Admittedly, the opposition was thin. Colin's all-or-nothing approach is evident from stage winners and rally leaders statistics. Though McRae won half as many stages as second placed Makinen, Tommi managed to lead rallies more often. Which paid in the end. With two wins and almost as many stage wins as team-mate Makinen, Richard Burns was the revelation of the year, paying handsomely back to the team for their trust in him.